Summary Winner shares the Playtech feeds (both European and Asian) with a number of other Live casinos (eg bet365 and betfair) and is a typical Playtech casino, offering an easy entry to players, with low stakes, lots of tables and an emphasis on the more social aspects of gambling - live chat and dealer interaction. Table limits Minimum £2.50, Maximum £50. Game speed Each game takes an average of 55 seconds, giving 65 games per hour. 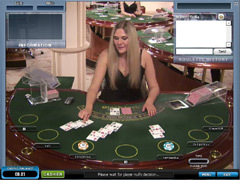 Summary Winner offer 32 Baccarat tables, so players should not have a problem getting seated. Summary Blackjack at Winner is on a par with any of the Playtech casinos, and is aimed at the Low Stakes gambler. Game speed Each game takes an average of 56 seconds, giving 64 games per hour. 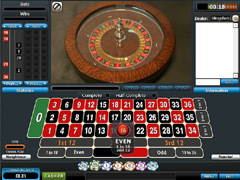 Summary Live Roulette at Winner is fast and enjoyable - with each game lasting less than a minute you can play up to 64 games per hour.